Welcome! 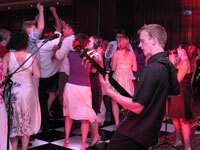 You've come to the right place for first-class entertainment for your wedding, party or event. 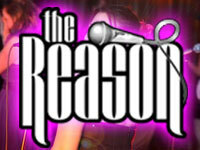 The Reason is the premier rock/pop function band in Hampshire and the south. We've been together for nearly ten years. During this time we've delighted countless wedding couples and corporate clients across Hampshire, Dorset, Surrey, Wiltshire and beyond. 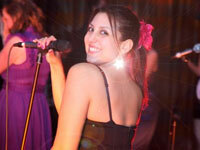 Performing classic tracks from the 1950s to the present day, we guarantee you a memorable occasion. 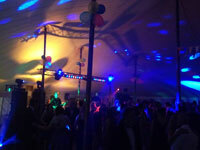 From our base in Southampton, Hampshire, we travel across the country to bring great music to venues of all types and sizes, from local pubs, to marquees, hotels, manor houses, converted barns and stadium function rooms. 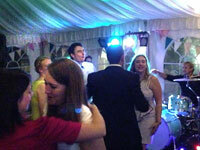 And with our professional sound and light systems, we transform any location into the scene of an amazing party. We have an extremely large repertoire - enough material for over 4 solid hours of playing - containing a huge number of classics. We're continuously learning new songs, so the chances are if you want something specific we'll already know it! What's more, we're happy to take requests in advance to make your occasion extra special. Available for hire throughout the year, we book directly. This means no agency fees for you - and a friendly, 100% personal customer experience from your initial query, through to the performance and beyond. We play a number of public gigs to give you an opportunity to hear and see us in action. To find out where and when we're next playing, please get in touch, or visit our Facebook page.